I have seen rear valances with or without the license plate bracket, regardless of valances with cutouts or no cutouts. Can someone please shed some light on this. Thanks! Sounds like Do filled you in on the bracket. As far as the cut out goes I can give the following info. The 1972 H code F and L code did not have cut outs. The Q code did have the eyebrows and had chrome exhaust tips. 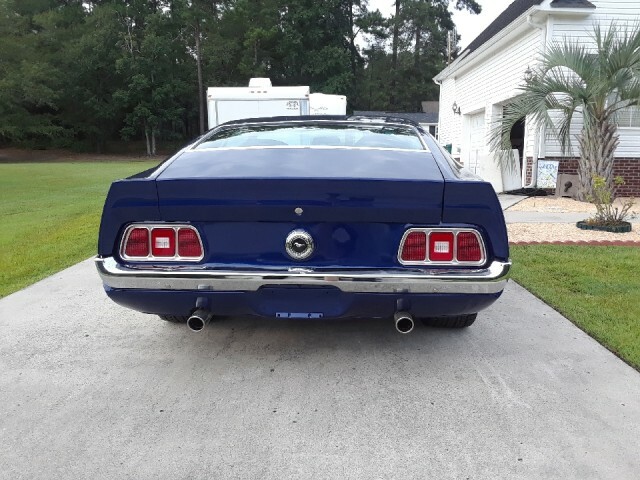 In 1973 Ford was looking for ways to take cost out since they had to add the big front bumper and change the rear to meet crash requirements. The took the paint off the aluminum tail light frames and removed the eyebrows and chrome exhaust tips. So will say they came both ways but this is not possible for the following reason. There is no place on the build sheet to specify a valance panel with or without eyebrows. When you got the Q code in 73 it got the dual exhaust with turned down tips. If there were two different options there would also have to be a code on the Buck Tag because the valance panel is on when it goes to paint. Here is a bad picture of a 72 Q code you can see the exhaust tip and cut out on one side. 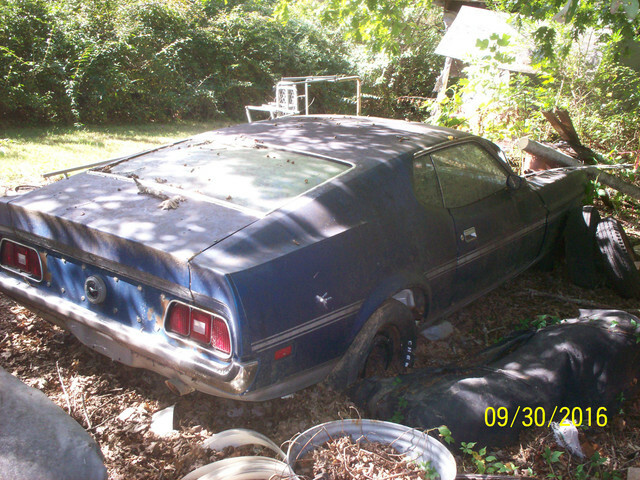 The other picture is of a 73 Mexican Sprint Mach 1. I cannot state this is a correct one of not. They came with 351 Windsor and 4 speed and this one has the eyebrows and exhaust tips along with a 71 pop open gas cap. 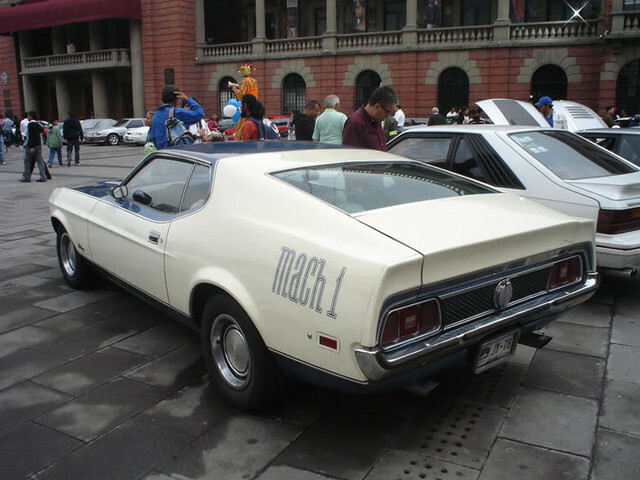 Yes they were two tone and had the Huge Mach 1 on the quarter panel. The rear shipping brackets were different on cars with Q code also were longer that models with single exhaust. Dealer was asked to remove them as part of dealer prep but many got left on. There was a sticker where the license plate went telling them to remove them. I think the actual tag bracket is also different from 72 to 73 but cannot say for sure.